From 1997 until 2007, the Japanese PRIDE FC promotion put on some of the greatest spectacles in MMA history. PRIDE Never Dies! 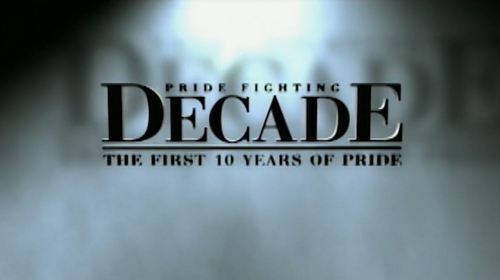 Pride Fighting Decade: The 10 Years of PRIDE Apr 2, 2017 (1:59:53) Pride Fighting Decade is a retrospective on the 10-year history of PRIDE Fighting Championships, featuring interviews from such PRIDE fighters and icons as: Renzo Gracie, Nobuyuki Sakakibara, Nobuhiko Takada, Chuck Liddell, Mark Coleman, Quinton Jackson, Mark Kerr, Kevin Randleman, Frank Trigg, Don Frye, Matt Hume, Gilbert Yvel, plus many other legends that put Pride Fighting Championships on the map. Best of Pride Ep 212: Cro Cop and Fedor May 24, 2012 (45:13) Mirko Cro Cop vs Shungo Oyama, Kazuhiro Nakamura vs Stefan Leko, Fedor Emelianenko vs Naoya Ogawa, Joe Pearson vs Yoshiro Maeda, Dan Henderson vs Murilo Bustamante, and more are featured in this episode of Best of Pride Fighting Championships. Best of Pride Ep 211: Fedor and Minotauro Nogueira May 17, 2012 (45:13) Minotauro Nogueira vs. Bob Sapp, Heath Herring vs. Paulo Cesar Silva, Ikuhisa Minowa vs Gilbert Yvel, Fedor Emelianenko vs. Wagner da Conceica Martins are featured in this episode of Best of Pride Fighting Championships. 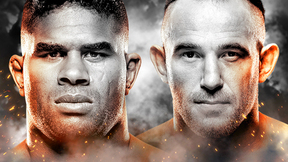 Best of Pride Ep 210: W Silva and Hendo May 10, 2012 (45:13) Wanderlei Silva vs. Dan Henderson, Mark Kerr vs. Igor Borisov, Antonio Rodrigo Nogueira vs. Heath Herring, Josh Barnett vs. Mark Hunt are featured in this episode of Best of Pride Fighting Championships. 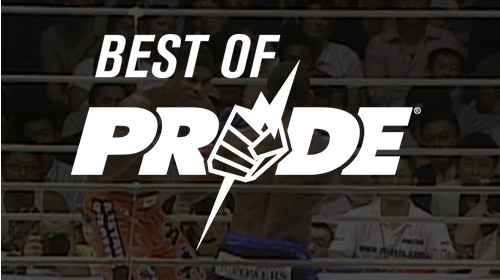 Best of Pride Ep 209: Aoki and Gomi May 3, 2012 (45:13) Kazushi Sakuraba vs Anthony Macias, Shinya Aoki vs Joachim Hansen, Tatsuya Kawajiri vs Charles Bennett, Hayato Sakurai vs Mac Danzig, Takanori Gomi vs Jens Pulver are featured in this episode of Best of Pride Fighting Championships. 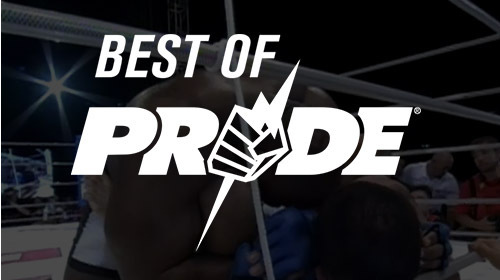 Best of Pride Ep 208: Herring and Silva Mar 8, 2012 (45:13) Nick Diaz vs Takanori Gomi, Wanderlei Silva vs Bob Schrijber, Igor Vovchanchyn vs Gary Goodridge, Antonio Rodrigo Nogueira vs Wagner de Conceicao Martins, Heath Herring vs Mark Kerr are featured in this episode of Best of Pride Fighting Championships. Best of Pride Ep 207: Fedor and Nogueira Mar 1, 2012 (45:14) Don Frye vs Yoshihiro Takayama, Fedor Emelianenko vs Kevin Randleman, Minotauro Nogueira vs Mirko Cro Cop, Igor Vovchanchyn vs Francisco Bueno, Mirko Cro Cop vs Wanderlei Silva and more are featured in this episode of Best of Pride Fighting Championships. 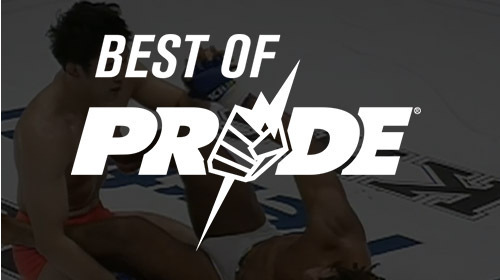 Best of Pride Ep 206: Silva and Goodridge Feb 23, 2012 (45:13) Wanderlei Silva vs Kazuyuki Fujita, Mark Kerr vs Pedro Otavio, Gary Goodridge vs Amir Rahnavardi, Mark Coleman vs Allan Goes, Josh Barnett vs Aleksander Emelianenko, and more are featured in this episode of Best of Pride Fighting Championships. Best of Pride Ep 205: Nogueira and Belfort Feb 16, 2012 (45:13) Antonio Rodrigo Nogueira vs Semmy Schilt, Antonio Rogerio Nogueira vs Yusuke Imamura, Paulo Filho vs Amar Suloev, Vitor Belfort vs Bobby Southworth, and more are featured in this episode of Best of Pride Fighting Championships. Best of Pride Ep 204: Werdum and Cro Cop Jan 26, 2012 (45:00) Mark Coleman vs Don Frye, Fabricio Werdum vs Tom Erickson, Mirko Cro Cop vs Heath Herring, Fedor Emelianenko vs Mark Coleman are featured in this episode of Best of Pride Fighting Championships. 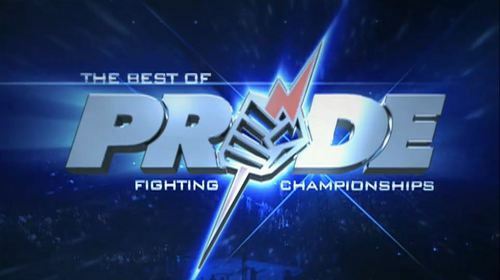 Best of Pride Ep 203: Gracie and Sakurai Jan 19, 2012 (45:13) Rickson Gracie vs Nobuhiko Takada, Crosely Gracie vs Hayato Sakurai, Rodrigo Gracie vs Daijiro Matsui, Ryan Gracie vs Tokimitsu Ishizawa are featured in this episode of Best of Pride Fighting Championships. Best of Pride Ep 202: Henderson and Randleman Jan 12, 2002 (45:13) Dan Henderson vs Wanderlei Silva, Kevin Randleman vs Mirko Cro Cop, Ken Shamrock vs Alexander Otsuka, Joachim Hansen vs Luiz Azeredo, Rameau Thierry Sokoudjou vs Ricardo Arona are featured in this episode of Best of Pride Fighting Championships. Best of Pride Ep 201: Rampage and Henderson Jan 3, 2012 (45:14) Fedor Emelianenko vs. Mirko Cro Cop, Quinton Jackson vs. Ricardo Arona, Dan Henderson vs. Renzo Gracie, Wanderlei Silva vs. Ikuhisa Minowa, Antonio Rodrigo Nogueira vs. Gary Goodridge are featured in this episode of Best of Pride Fighting Championships. Best of Pride Ep 125: Silva, 'Minotauro', 'Rua', and more Mar 19, 2011 (40:22) Wanderlei Silva vs. Hidehiko Yoshida, "Minotauro” Nogueira vs. Kiyoshi Tamura, "Shogun" Rua vs. Alistair Overeem, Paulo Filho vs. Akira Shoji, and Ryan Gracie vs. Shungo Oyama are featured in this episode of Best of PRIDE. Best of Pride Ep 124: Rampage, Nogueira, Cro Cop and more Mar 19, 2011 (40:25) 'Rampage' Jackson vs. Kevin Randleman, Antonio Rogerio Nogueira vs.Kazuhiro Nakamura, Mirko 'Cro Cop' vs. Ibragim Magomedov, Ikuhisa Minowa vs. Paulo Cesar Silva, and Murilo 'Ninja' Rua vs Alexander Otsuka are featured in this episode of Best of PRIDE. Best of Pride Ep 123: Silva, Henderson, Rua, and more Mar 19, 2011 (40:25) Wanderlei Silva vs. Dan Henderson, Hayato Sakurai vs. Brady Fink, Dean Lister vs. Akira Shoji and 'Shogun' Rua vs. Hiromitsu Kanehara are featured on this episode of Best of PRIDE. Best of Pride Ep 122: 'Minotauro', 'Cro Cop', Baroni, and more Mar 19, 2013 (40:25) Phil Baroni vs. Ikuhisa Minowa,'Minotauro' Nogueira vs. Mark Coleman, Mirco 'Cro Cop' vs. Yoshihisa Yamamoto, Assuerio Silva vs. Valentijn Overeem, James Thompson vs. Alexandru Lungru are featured in this episode of Best of PRIDE Fighting Championships. Best of Pride Ep 119: 'Minotauro', 'Cro Cop', Overeem, and more Feb 22, 2011 (40:22) 'Minotauro' Nogueira vs. Mirko 'Cro Cop', Antonio Rogerio Nogueira vs. Alistair Overeem, Tom Erickson vs. Tim Catalfo, Guy Mezger vs. Alexander Otsuka are featured in this episode Best of PRIDE. Best of Pride Ep 118: Gomi, Sakuraba, and more Feb 22, 2011 (40:25) Kazushi Sakuraba vs. Ebenezer Fontes Braga, Takanori Gomi vs. David Baron,Hayato 'Mach' Sakurai vs. Olaf Alfonso, Katsuhisa 'Shamoji' Fujii vs. Kim Jin Oh, and more are featured in this episode of Best of Pride. Best of Pride Ep 117: Rampage, Liddell, Rua, and more Feb 22, 2011 (40:22) Rampage Jackson vs. Chuck Liddell, Shogun Rua vs. Cyrille Diabate, Gary Goodridge vs.Yoshiaki Yatsu, Luiz Firmino vs. Hiroyuki Abe, and Kazuyuki Fujita vs. Hans Hijman are featured in this episode of Best of Pride. Best of Pride Ep 116: W. Silva, Belfort, and more Feb 22, 2011 (40:25) Wanderlei Silva vs. Kazuyuki Fujita, Mark Kerr vs. Nobuhiko Takada, Vitor Belfort vs. Bobby Southworth, Ikuhisa Minowa vs. Kenichi Yamamoto, Hidehiko Yoshida vs. Kiyoshi Tamura, are featured in this episode of Best of Pride. Best of Pride Ep 115: Nogueira, Cro Cop, and more Feb 9, 2011 (40:24) Mirko 'Cro Cop' vs. Heath Herring, 'Minotauro' Nogueira vs. Enson Inoue, Igor Vovchanchyn vs. Katsuhisa Fujii, Semmy Schilt vs. Akira Shoji, Bob Sapp vs. Yoshihisa Yamamoto, and Tom Erickson vs. Matt Skelton are featured in this episode of Best of PRIDE. Best of Pride Ep 114: Silva, Gomi and more Sep 29, 2010 (40:22) Anderson Silva vs. Alex Steibling, Takanori Gomi vs. Luiz Azeredo, Mark Hunt vs. Dan Bobish, Kazushi Sakuraba vs. Carlos Newton, and Tatsuya Kawajiri vs. Charles Bennett are featured in this episode of Best of Pride Fighting Championships. Best of Pride Ep 113: Hendo, Overeem and more Jun 10, 2010 (40:25) Dan Hederson vs. Rogerio Nogueira, Alistair Overeem vs. Mauricio Rua, and Quinton Jackson vs. Yuki Ishikawa are featured in this episode of Best of Pride Fighting Championships. Best of Pride Ep 112: Liddell, Cro Cop and more Jun 23, 2010 (40:25) Chuck Liddell vs. Guy Mezger. Mirko Cro Cop vs. Josh Barnett, Vitor Belfort vs. Yoshiki Takahashi are featured in this episode of Best of Pride Fighting Championships. Best of Pride Ep 111: Gomi, Tank, and more May 5, 2010 (40:25) Tatsuya Kawajiri vs. Takanori Gomi, A. Rodrigo Nogueira vs. Gary Goodridge, Allan Goes vs. Mark Coleman, Tank Abbott vs. Hidehiko Yoshida and more are featured in this episode of Best of Pride Fighting Championships. Best of Pride Ep 110: W. Silva, Sakuraba and more Apr 28, 2010 (40:23) Hiromitsu Kanehara vs. Wanderlei Silva, Kazuhiro Nakamura vs. Wanderlei Silva, Shannon Ritch vs. Kazushi Sakuraba, Yoon Dong Sik vs. Kazushi Sakuraba, W Silva vs. Kazushi Sakuraba are featured in this episode of Best of Pride Fighting Championships. Best of Pride Ep 109: Frye, Shamrock and more Apr 21, 2010 (40:25) Don Frye vs. Ken Shamrock, Cro Cop vs. Alexander Emelianenko, Phil Baroni vs. Yosuke Nishijima, Rampage Jackson vs. Hirotaka Yokoi are featured in this episode of Best of Pride Fighting Championships.